I am new to using SheepShaver and very happy to have found a good working PPC Mac OS 8-9 emulator. I have a few questions that I was hoping could be answered. How fast does SheepShaver run as an emulated machine? I saw under system profile that it is running a 604e @100Mhz or somewhere about there. Is this what the emulated machine is running at? Or is it faster? Does the speed of ones computer effect the emulated speed? Can SheepShaver emulate G3 or G4 processors or speeds that are equivalent? My needs are for a PPC G3 or G4 emulating speed at around 533Mhz. More ideal would be a bit higher @733Mhz or @933Mhz. If SheepShaver cannot emulate those CPU's and speed is there an emulator that does (on Windows or Mac OS X?). Or is there work being on SheepShaver that will emulate those CPU's and speeds? Or perhaps a different project that has this objective? I am not trying to be selfish, nor am I trying to be ungrateful to the developers and their hard work creating this emulator. In fact I am very pleased with the ease of use of SheepShaver and that I now have access to software that I have not had easy access to in years. Any answers to these would be greatly appreciated. SheepShaver is way faster than a 100MHz MPC 604 with fairly recent hardware and yes, speed does improve with higher MHz host cpus and more cores. The number of cores don´t matter that much though. The downside of the fact, that SS was optimised for speed, is that some features are missing. The 100MHz MPC604e rating may date from the time of SS development, likely with a Pentium 4 HT running Mandriva (GNU/Linux) - thats my guess, however. vs. my good old iMac Bondi on the right hand side. If you want to emulate a G3 or G4, you best bet will be Qemu. Not that one would call it fast - compared to SheepShaver right now, but development is going on and astonishing progress has already been made. It's probably also worth noting that speed comparisons aren't very useful on emulators, as they'll do some tasks quickly and others more slowly. So instead of saying "I need to emulate a 533MHz G3" it's probably better to think in terms of "I want to run software X" or "I want to work with hardware Y." Worth noting here is that SheepShaver is almost purely a software emulator; it doesn't emulate or pass through a graphics card, doesn't emulate clocked serial data, and takes some work to set up real networking via Tun/Tap. Many floating point operations won't be precise, and some won't even return a valid value. Also worth noting is that SheepShaver will only emulate Mac OS 8.5 through Mac OS 9.0.4 using a New World ROM. It won't do OS X, and it needs the Old World ROMs of the G1 and G2 PPCs to run 7.1.2 through 8.1. QEMU-PPC will currently emulate Mac OS 9.0.4 through OS X 10.4.11 with the default build, and through 10.5 with a custom build, with the current exception of some of the early OS X/Rhapsody server builds. We're still around two official builds away from having a single engine that will run all of these. Hopefully when all the issues get sorted out, QEMU-PPC will run 8.5 through 10.5 on a single engine. QEMU-PPC also currently doesn't emulate or pass through a graphics card, but there is current work on fixing this. It DOES support USB hardware passthrough and can do MIDI with a bit of tweaking. 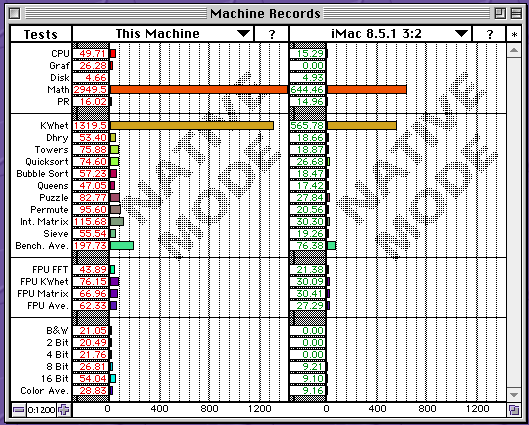 Sound has just reached the usable point for OS 9, and hopefully will improve soon for OS X. FPU processing is a big bottleneck still, but it's pretty accurate, just slow.